There's nothing quite as sleek and elegant as Mi Note. The moment it's in your hands, you'll realize how incredibly thin it is. The premium feel of glass against skin, curved at the edges for a better grip, is substantial. It is smooth to the touch, even along the sides where glass seamlessly tapers into aluminum. It's the most beautiful phone we've ever designed. 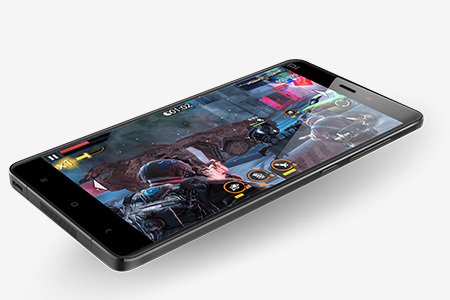 Go big with Mi Note's gorgeous 5.7" Sharp/JDI negative full HD display. It offers a contrast ratio of 1400:1 as opposed to 1000:1 on standard displays, producing even richer colors and contrasts for a spectacular visual experience. It also features the latest Sunlight Display, which uses hardware-level algorithms to adjust contrast for each pixel in real time, dramatically improving readability in sunlight. Great photos are taken anytime, anywhere. That's why the 13MP 2nd gen Sony IMX214 CMOS sensor comes with Optical Image Stabilization (OIS) to compensate for handheld movements, giving you sharp images even in low lighting. The 4MP front shooter brightens up smiles too, with large 2μm pixels to let more light in. It's 66% larger than the 1.2μm pixels found in average sensors and comes with Beautify, which intelligently applies one of 36 smart filters for amazing selfies. Delivers true sound representation with a professional Hi-Fi system embedded in your phone. Mi Note's audio module renders music in stunning detail for clearer vocals and deeper bass. Discover a level of music that you’ve never heard before with minimal-loss, studio-grade sound quality. 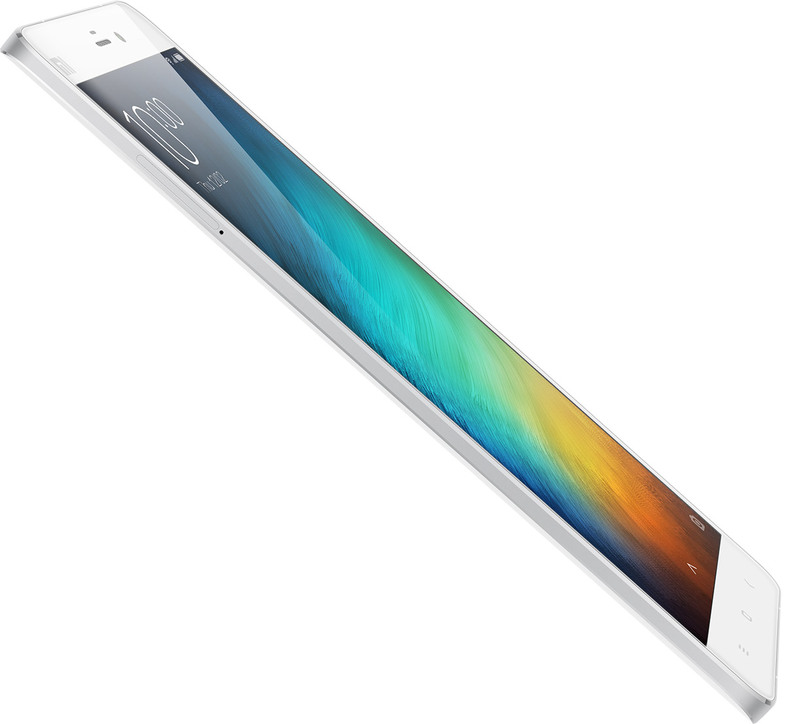 Enjoy a bigger MIUI experience on Mi Note. The 5.7" screen layout has been formatted to show 25% more content than on smaller 4.7" screens. Customize system font options from small to large, which adjusts even third-party apps. Best of all, one-handed mode resizes your screen to a smaller 3.5", 4.0" or 4.5" that gives you maximum one-handed accessibility. Simply swipe left or right on the bottom home button to activate. We've pulled out all the stops for Mi Note Pro, which powers on the latest octa-core 64-bit Qualcomm Snapdragon 810 processor and 4GB LPDDR4 RAM. Within the gold metal frame lies a 2K display that surpasses even 24" desktop displays with an incredible 2560x1440 resolution at 515 pixels per inch. It also supports LTE Cat 9, which can run up to 450Mbps download and up to 50Mbps upload speeds. Comes in Black and White with 16GB and 64GB options. Mi Note Pro comes in 64GB Gold. 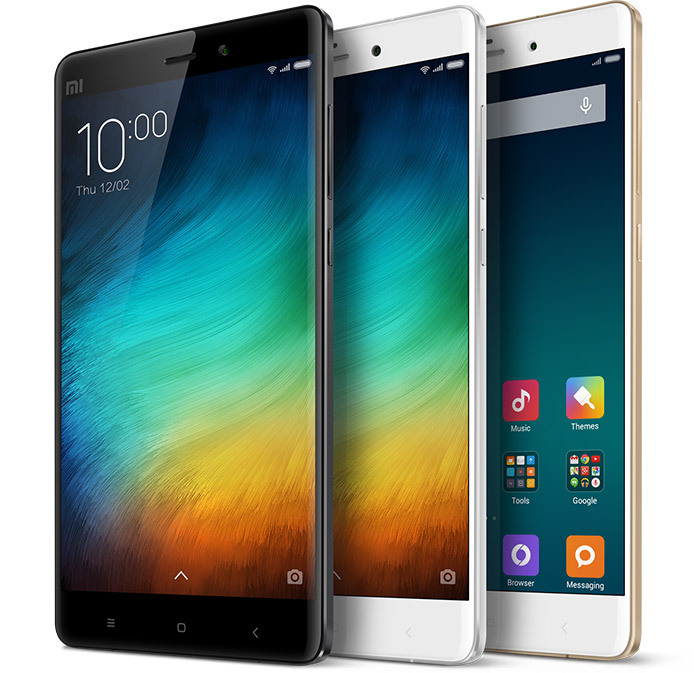 More about Features > Mi Note isn't just a smartphone. It's a combination of the most advanced technologies to date.